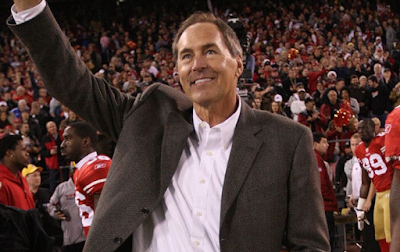 Ex-NFL star Dwight Clark, the guy who made "The Catch" in the 1981 NFC Championship -- has died from complications stemming from ALS, his wife has confirmed. "I’m heartbroken to tell you that today I lost my best friend and husband," she tweeted. "He passed peacefully surrounded by many of the people he loved most. I am thankful for all of Dwight’s friends, teammates and 49ers fans who have sent their love during his battle with ALS." He won 2 Super Bowls as one of Joe Montana's favorite receivers. His Number 87 jersey was retired in 1988.